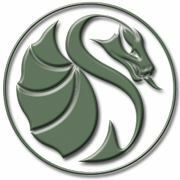 oBoCreations and Dragon Porter are coming together for one fantastic giveaway from Switzerland! 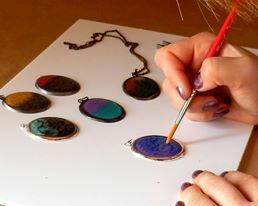 oBoCreations is based in Geneva Switzerland where everything is hand painted and unique. Her style is described as minimalist jewelry. She designs nature related products as well as cluster rings and jewelry. Each piece is hand crafted and one of a kind. 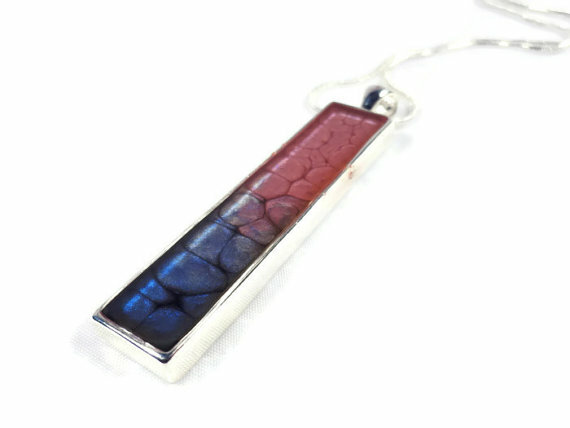 From oBoCreations I was able to review the Silver Plated Rectangle Blue and Pink Dragon Skin Pendant $25. 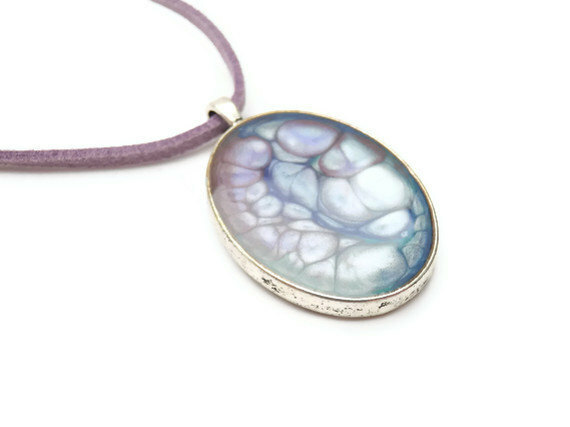 This pendant is just beautiful and goes with a dressy outfit or casual look of jeans and a tshirt (which is my typical look!). Very well made and unique in design. oBoCreations is giving my readers an opportunity to win this Oval pale purple blue pastel resin pendant $23. The pendant is just gorgeous! It is on an actual chain as well which makes it even better for elegant wear. Dragon Porter is also an artist from Switzerland! Novelty, style and uniqueness are the characteristics that drive Dragon Porter. Check out their jewelry parade of great fashion categories! She has them organized to indeed meet the needs of every woman. My favorite collection from Dragon Porter. These remind me of Venetian Glass or stained glass windows. These are so light weight your forget you are even wearing them. 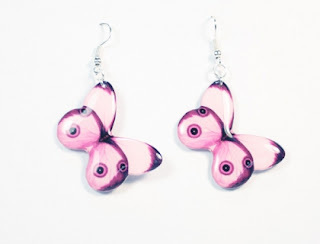 Dragon Porter is giving my readers an opportunity to win these beautiful butterfly earrings from the Butterfly Collection. Both prizes for one reader! A Swiss Artist Extravaganza! I have both prizes in hand and will send them directly to the winner. I am in love with the PENDANT-113!!! I love all of these studs: purple studs silver stud earrings silver studs purple earrings everyday earrings silver art jewelry colorful jewelry minimalist jewelry and the Circle cocktail ring Ring Silver black and white ring resine ring!